Patsy Thompson Designs, Ltd. » Beam N Read Blog Hop! 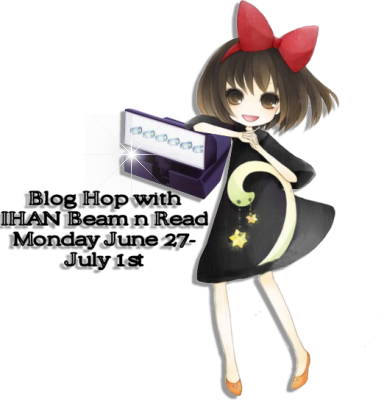 Beam N Read Blog Hop! This battery-operated LED light comes with an adjustable neck strap so you can position the light really close to your work, leaving your hands completely free to stitch. It also comes with an orange filter and a red filter, giving you the option of determining the lighting that’s easiest on your eyes. Lastly, it comes with an optional magnifier that clips right onto the light, and I know that my aging eyes really appreciate that feature! or sewing the binding to the backside of the quilt, or sewing a label onto the back of a quilt,…the list goes on and on. One thing that’s really impressed me about this light is that it makes it possible for me to complete my hand work in places where it’s previously been impossible to do so. Now I can do hand applique on long car rides after dark, or when I’ve traveled to teach and am spending the night in a hotel room with lousy lighting. Thanks to the Beam N Read Light, I can reclaim these lost hours and turn them into productive time! Now go have a happy 4th of July! I’ve been quilting for over thirty years and can no longer do hand work without a bright light. Having this light would make my hand work portable again. Thanks for the review, and the tip. 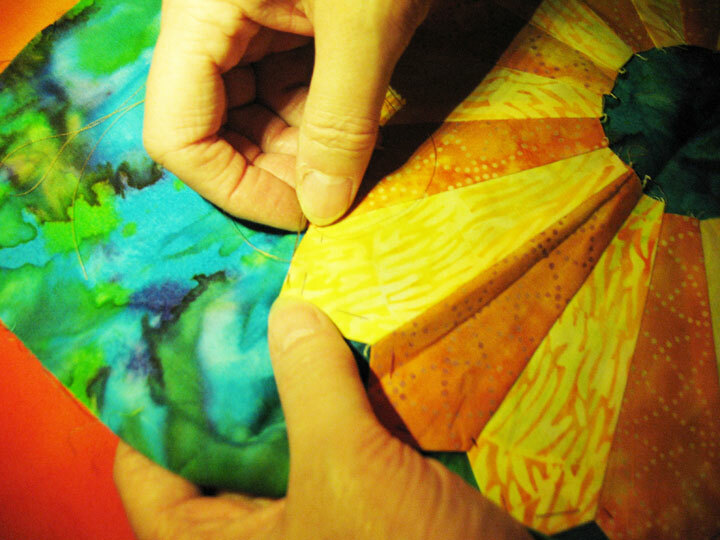 I love Superior Thread, but never considered it for applique, which is what I’d use this light for now that I’ve started two Baltimore Album quilts. Happy 4th! I would love to win this – my lighting for any kind of handwork (from sewing to needlework) I do is limited to daylight only. Thanks for the giveaway – love your work. My aging eyes could definitely use this light for stitching applique, but your idea of using it in the dark car is great! And I am thinking these would be great gifts for my sister and dad. Thanks for helping me learn I need to get one! There are so many uses for this light I can’t begin to count them all. Your readers have left wonderful suggestions. I would enjoy using it in the car while on trips. Thanks for the chance to win. Great idea with the bobbin box, I always drop the spool and airplane seats are hard to get under! 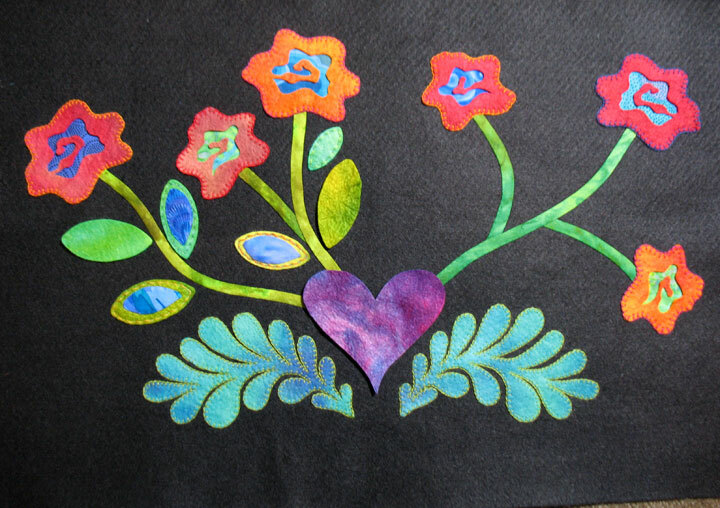 Your applique is gorgous! Thanks for the chance, I seriously need one of these lights! Happy 4th. what a great idea for the bobbin box and the light can’t be beat for tackling those jobs that need extra light…. I want one of these so pick me. That’s a great tip on using the bobbins. If win would rename the light to beam-n-sew. I love handwork while watching TV. Hubby doesn’t like a bright light for TV viewing so this light would be great. 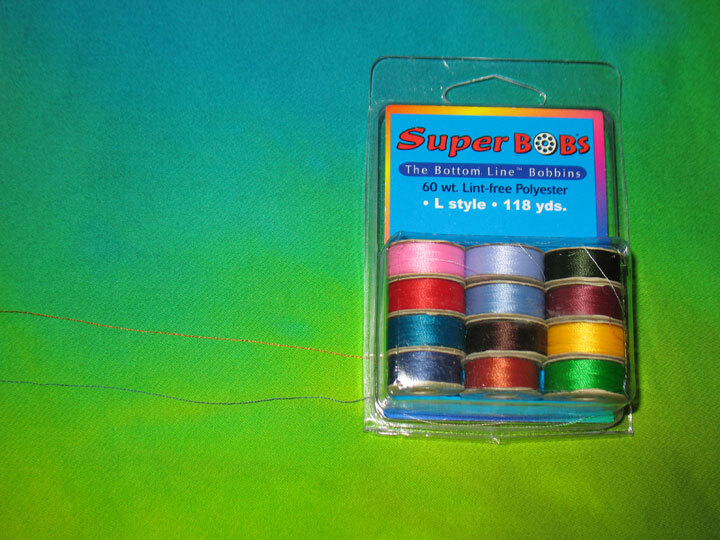 Love the idea of the bobbins for your portable sewing! Sure hope I can win this super duper light….it’s been fun learning about it from all of you this week! All the reviews on this light is great. It sounds like I need to get one. Hopefully win it. Thanks for the chance! What a great giveaway! I want a Beam and Read to help me see better to do hand sewing and cross stitch. Thanks for the chance to win one. Thanks a lot for all the tips. Now here’s one for you. If you have a toothache sit up and it isn’t nearly as bad as laying down with it. Hence the reason I’m emailing you at 3:34am. Okay back to this wonderful light. My eyes certainly aren’t as good as they were when I was younger and a good light makes such a difference either when I’m hand stitching or machine stitching and I would so love to win one of these lights and thanks for the chance. What beautiful hand work you do. I need this light for sure to work at night and in the car. Thanks for the great review. Over the years I have purchased several lights that claim to be the best……….then they go to a drawer because thet don’t live up to the claims. Now this light is the one to get……just what we need to see those little stitches in appliqué. Thanks for the opportunity to win one. I’d love to have one of these! I’m about to head out on vacation, and it seems like this would be great for reading on the plane (those anemic little lights just don’t cut it) and for reading/sewing in the hotel room. I think I’ve missed the deadline. Boo Hoo! I was blog hopping and time got a way with me. I would so love to win one of those lights for my old tired eyes. I have so enjoyed reading everyone’s reviews of this light. I”m always looking for better light. But I hate the heat beaming down on me from lamps. And of course there is always a shadow. 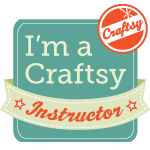 This would be so good for applique, bindings, reading, hand quilting (and on and on and on)! Great light. I sure need one of those. Thank you for the sewing it. It’s going to be very useful to me. You make quilting sound and look so easy!!! What a great light, I could use all the help I can get as I get older my light sources seem to be getting duller haha. Loved your soap tip–I hadn’t heard that one before. And, of course, we always love to jump in for a chance to win something! Great tip, Patsy! I’d love to have this light so I could knit at the computer. Thanks for counting me in. I could use this light for both quilting and for counted cross stitch. My favorite handwork spot is never lighted well enough for these 65 year old eyes. Lol, I just collected my new reading specs today but a light would definitely help when I snuggle up in bed to look in the mags for another project to do or add some more rows to my crochet. My lights just aren’t as bright as they used to be. Or I can’t get close enough to the sewing machine to see my stitches as well as I used to. So a Bright light would be so helpful. My eyes aren’t very good anymore. The lights in my rooms aren’t any good for hand sewing. I have to hand sew during the bright sunshiny day, but am usually working. If I had this light I could hand sew in the evenings after work. I was thinking that I didn’t need another light. Well, today I was sewing black binding on a dark background. Wow! I sure could use the Beam and Read light. Thanks for the chance! This looks like a whizzy new tool Patsy- like others my eyes are not what they once were so the extra light would be terrific. Thanks for the chance. This light looks so fantastic. I would use it for reading, sewing, picking things in the garden at night, creeping around the house and checking to see if that was a mouse I just heard. Thanks for a chance to win. My husband replace all our “normal” light bulbs with those new energy saving ones. I don’t care what anyone says, they don’t throw off the same amount of light so I reeeeeally need a Beam N Read, doncha think? Thanks for the chance to win one. 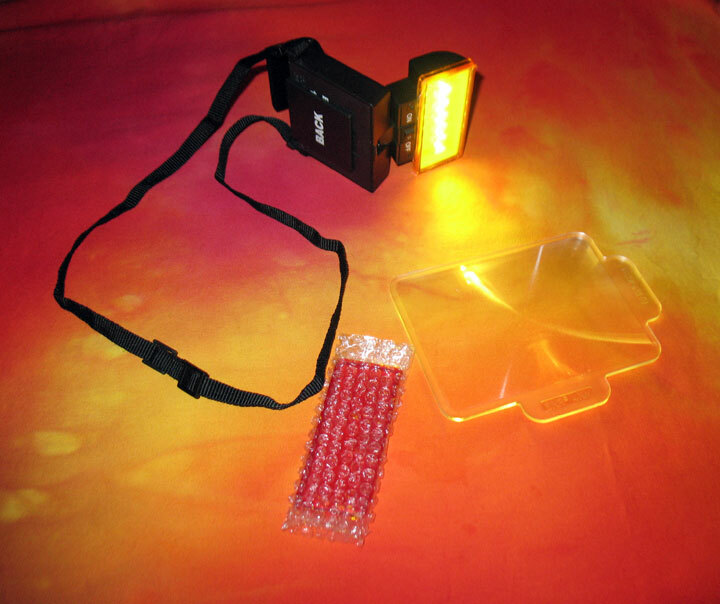 I like your review of this light, and I’ve read other good reviews–I would love to use this when I do hand applique and hand quilting. I wear glasses, so my eyesight should be fine, but it can be really difficult to make tiny stitches, particularly with dark fabrics. Thanks for having this giveaway for a product that any quilter would like to have. I would use this for hand quilting. Thanks for the chance to win! Thanks for the Beam N Read review and the beautiful and colorful photos. And Thanks to all who commented and to Kelly who organized the Blog Hop.